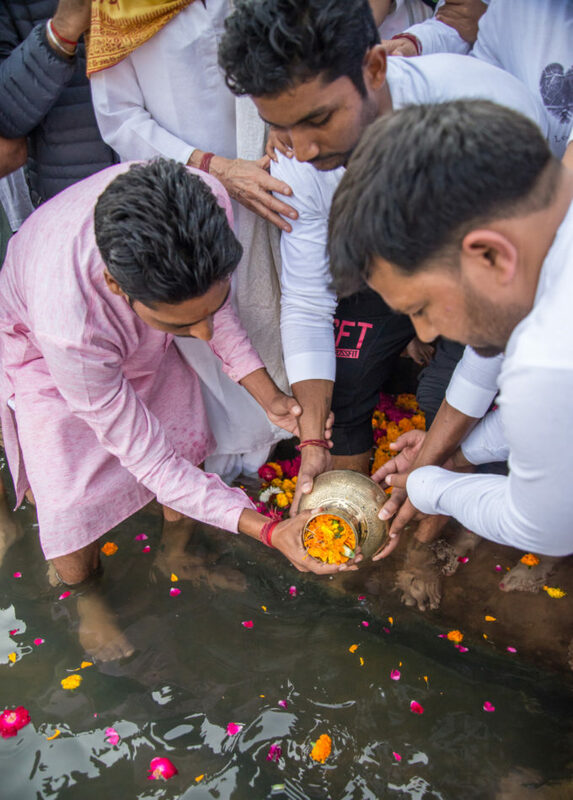 Yesterday on November 19th 2018, Babaji's ashes were immersed in the river Ganga at Har ki Pauri in Haridwar. 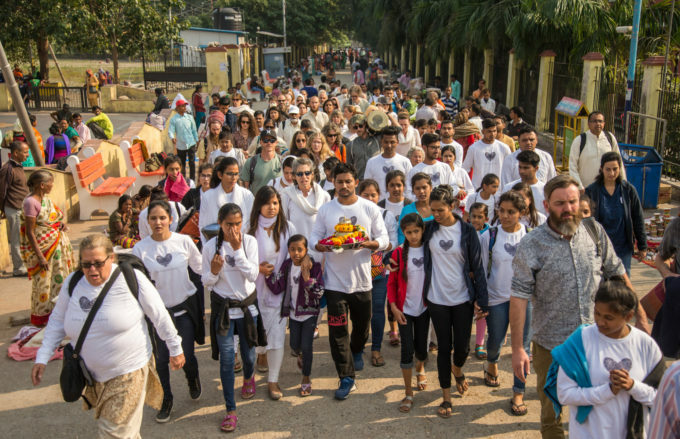 It was a special and meaningful experience for all the children and friends of Sri Ram Ashram as well as Babaji's followers who came for the event. 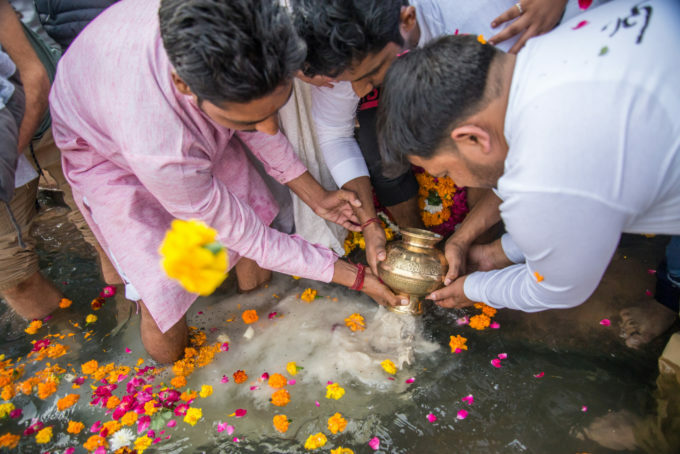 Originally we had planned to immerse the ashes at Asthi Pravah Ghat, where it is usually done, but at the last minute, the Har ki Pauri organization and pujari allowed us to perform the puja and immersion at Brahmakund, which is considered the most holy ghat in Haridwar, as it is where the Amrit fell. 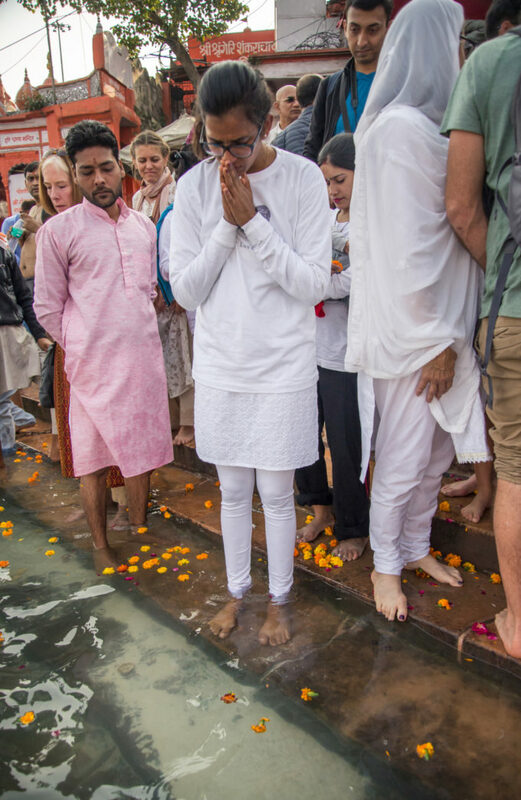 After the ashes immersion, some people bathed, and then we performed a puja and arati at Har ki Pauri in honor of Babaji. 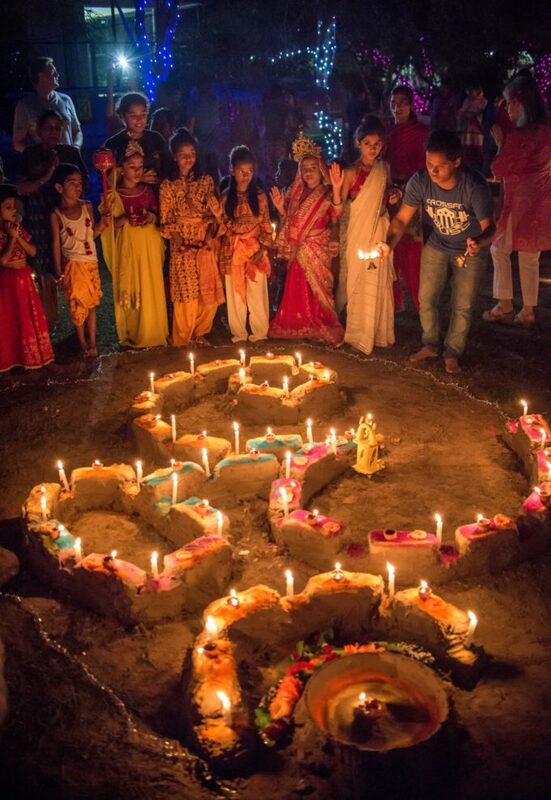 We booked a puja on the side of the river where all the fires and main arati is done. 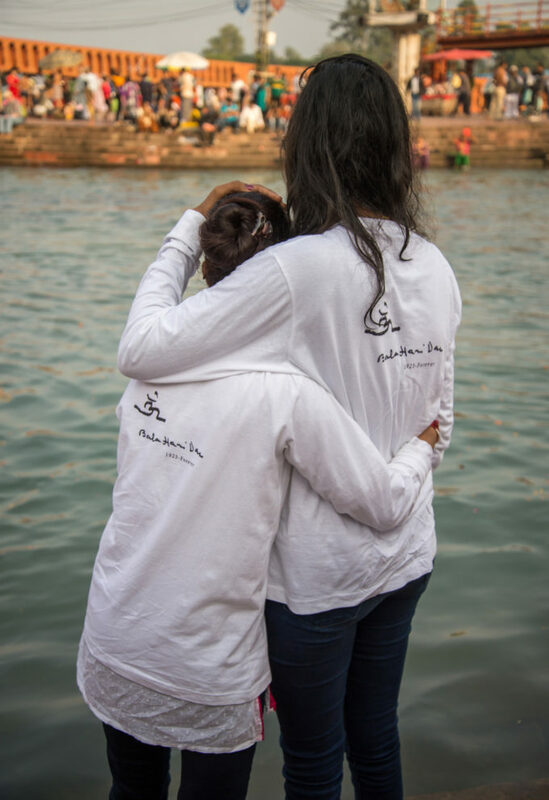 Many of the kids wore their new Babaji fingerprint shirts. Jai Babaji. Love loves love. Om. The Shraddha for Babaji, performed on Oct 7th at Mount Madonna Center was inspiring: full of expressions of devotion, grief, and gratitude. The love and peace that Babaji exemplified was felt and shared by the assembled satsang of over 1000. Many people noted that Babaji “would have loved” the two straight full-on weeks of karma yoga in preparation for the event. 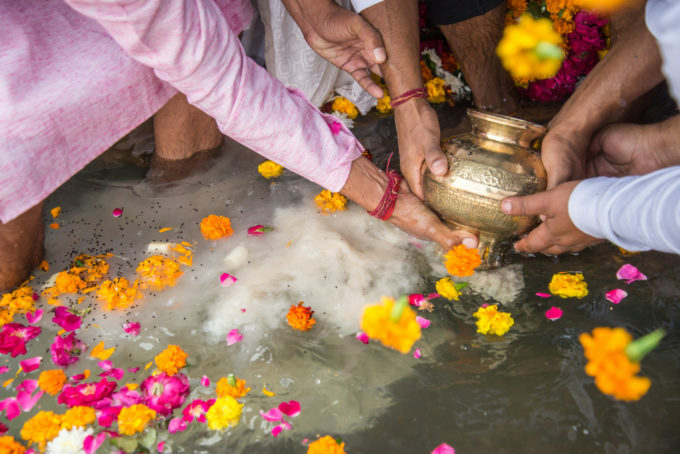 The last rite to honor Babaji’s passing will be the immersion of his ashes in the river Ganga near Sri Ram Ashram (SRA) the orphanage and school Babaji founded in India. All are welcome to attend. 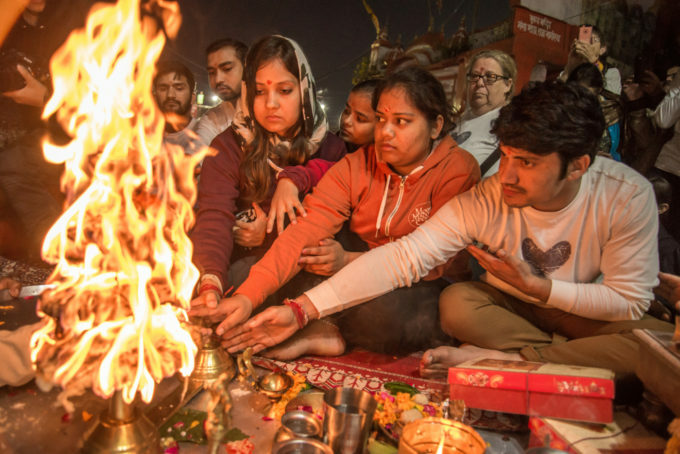 Although details are still being worked out, the formal program will start on November 17th at Sri Ram Ashram with evening arati and will end on November 19th after arati at Har Ki Pauri followed by a Bhoj (feast). 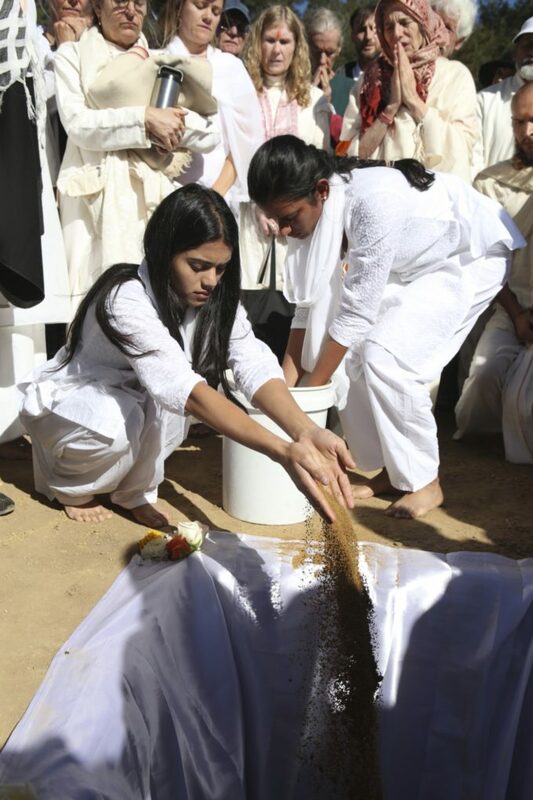 As is tradition, the ashes will be immersed sometime on November 19th before arati. 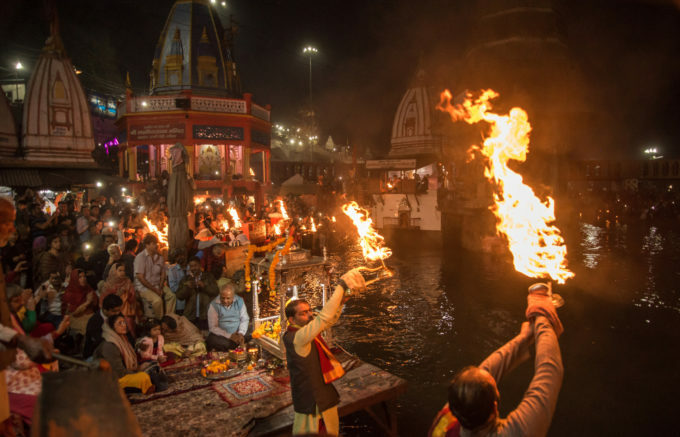 The daily arati at Har Ki Pauri are known for their spiritual power and beauty and are regularly attended by thousands of devotees. 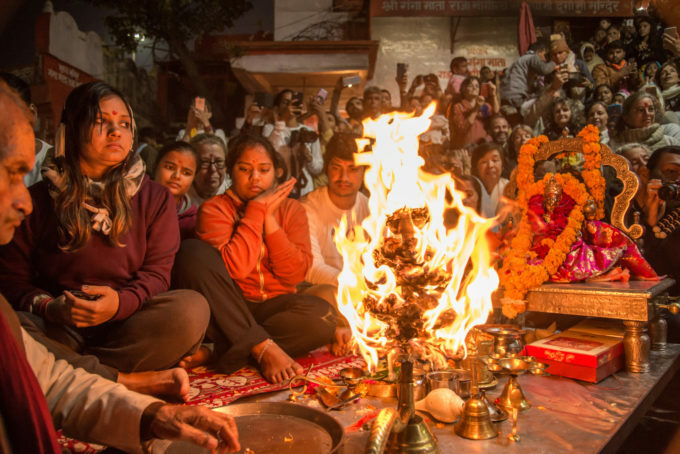 The arati in the evening of Nov 19 will be held in honor of Babaji. 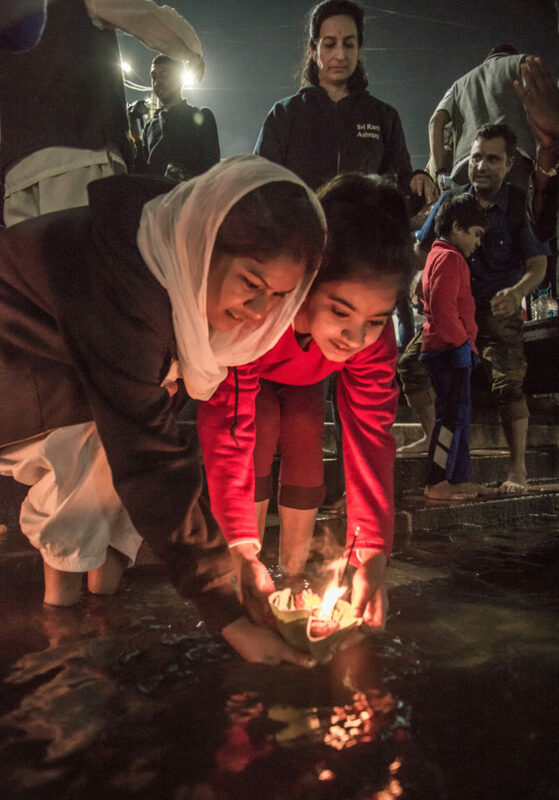 The group attending will have a place of honor to sit near the lamps while offerings are made in Babaji’s honor during evening arati. Those who have RSVP’d will be sent housing options after Nov 1st. There are several options if housing at SRA fills and the SRA staff will be in email communication with you about details. If you do not RSVP by Nov 1st, you are still welcome to attend the ceremonies but SRA staff will not be able to offer any housing placements. Babaji’s children at SRA wait to welcome you and share this portion of Babaji’s journey with friends and family worldwide. 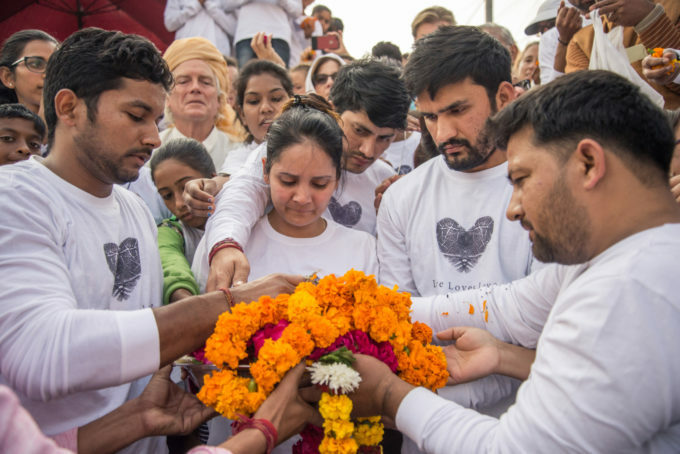 Thank you to an uncountable number of students, devotees and friends for all the love, prayers, well wishes, and monetary gifts that have been offered so generously when Babaji’s health was declining. At this tender time after his passing, we turn our hearts and minds to celebrating Babaji’s life and sustaining his legacy. 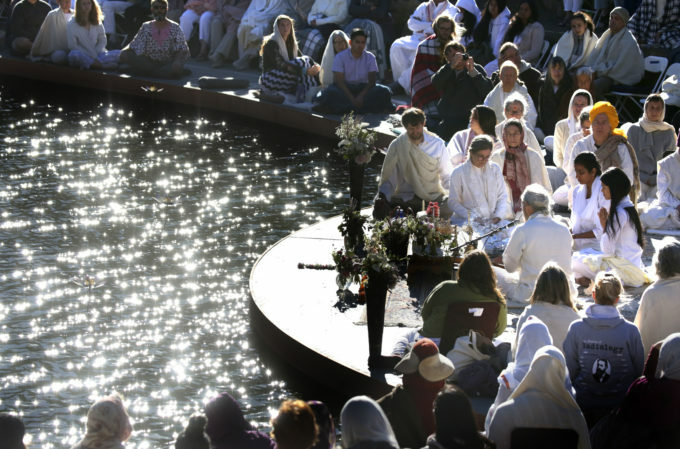 The final ritual of shraddha will be performed lakeside at Mount Madonna Center on Sunday, October 7th. To assist with parking all who are coming, we ask that you please plan to CARPOOL. 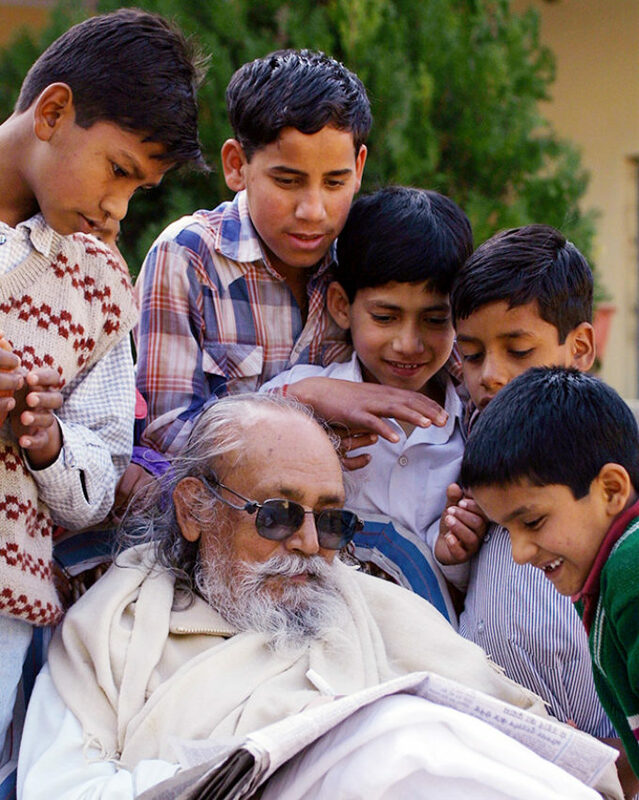 Baba Hari Dass Founding Inspiration of Mount Madonna Center, Mount Madonna School and Sri Ram Orphanage India dies at age 95. 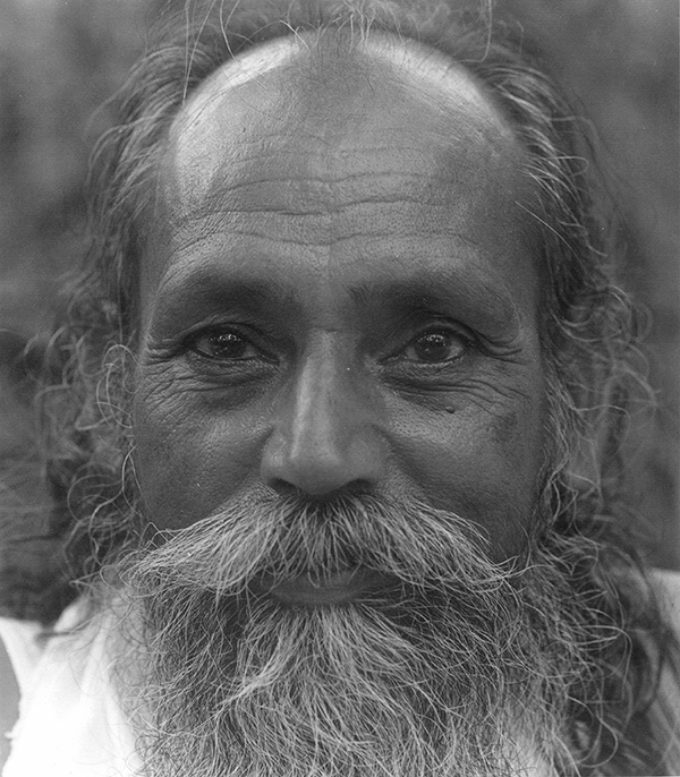 Baba Hari Dass, master yogi, teacher, and the founding inspiration of the Mount Madonna Center and Mount Madonna School in Watsonville, and Sri Ram Orphanage in India, died peacefully at home in Bonnie Doon, California on September 25, 2018. 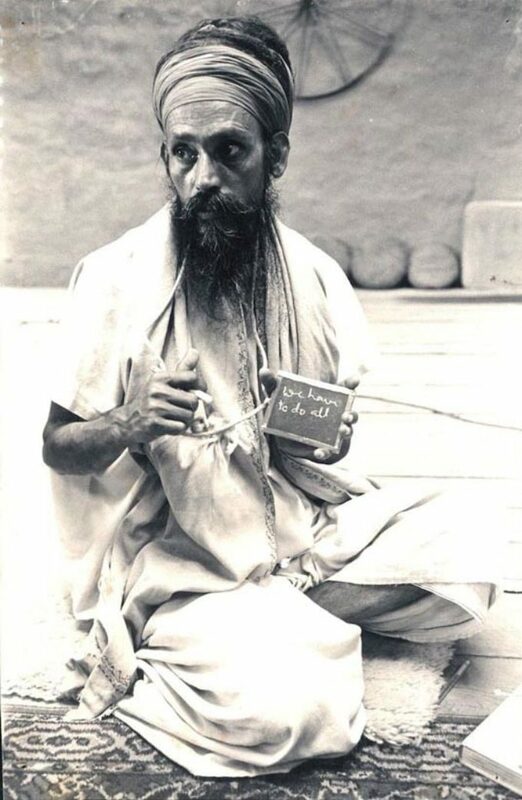 Baba Hari Dass, or Babaji, as he was affectionately known by the many thousands of students and devotees who knew him, was a silent monk born on March 26, 1923 in Almora in the foothills of the Himalayas in Northern India. 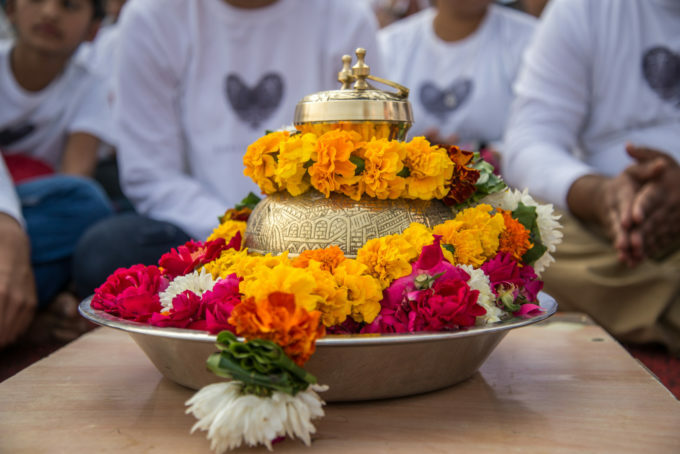 Babaji was loved and admired for his wisdom, humility, patience, humor, encouragement and acceptance of all who came to meet him and learn with him. He possessed a profound sense of self-discipline and a deep knowledge of yoga and Indian philosophy. Babaji had a great love of children and a legendary sense of play. 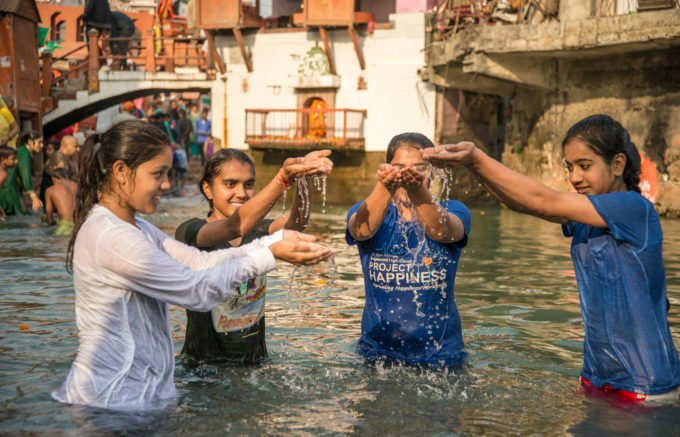 While treating everyone with a sense of equality, he somehow managed to form an individual bond with each of his students, inspiring them in spiritual practice, guiding them to self-reliance and bringing out their talents and gifts. 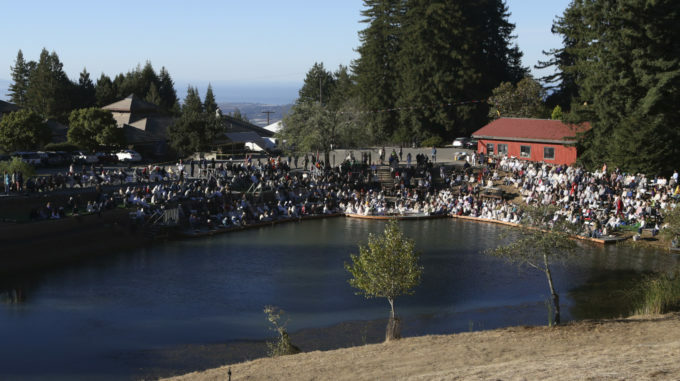 In 1978 Babaji inspired the founding of Mount Madonna Center for the Creative Arts and Sciences, a widely known and highly respected spiritual retreat and seminar facility in the Santa Cruz Mountains. 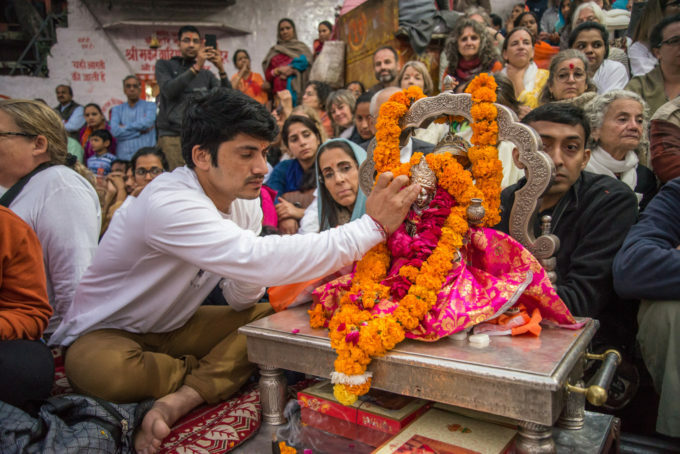 Mount Madonna Center is home to a residential community dedicated to support of Center activities, which include diverse programs in yoga and personal growth, the Sankat Mochan Hanuman Temple and the Mount Madonna Institute. Babaji also inspired the Mount Madonna School (PreK-12th grade) which is hosted by the Center, and is known for excellence in children’s education. 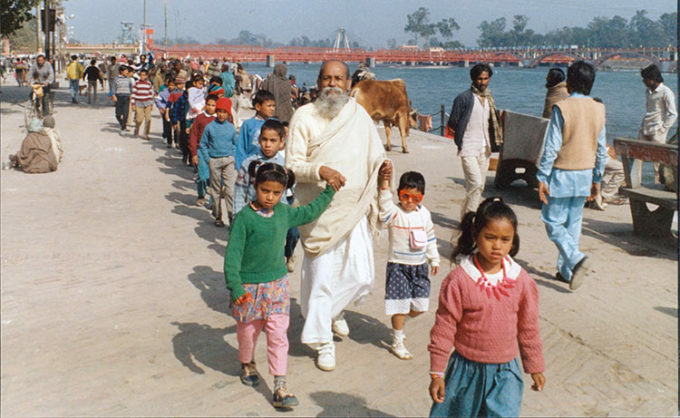 In 1982 Babaji founded the Sri Ram Ashram, a loving home for abandoned children and a Nursery to12th grade school near Haridwar in Northern India. 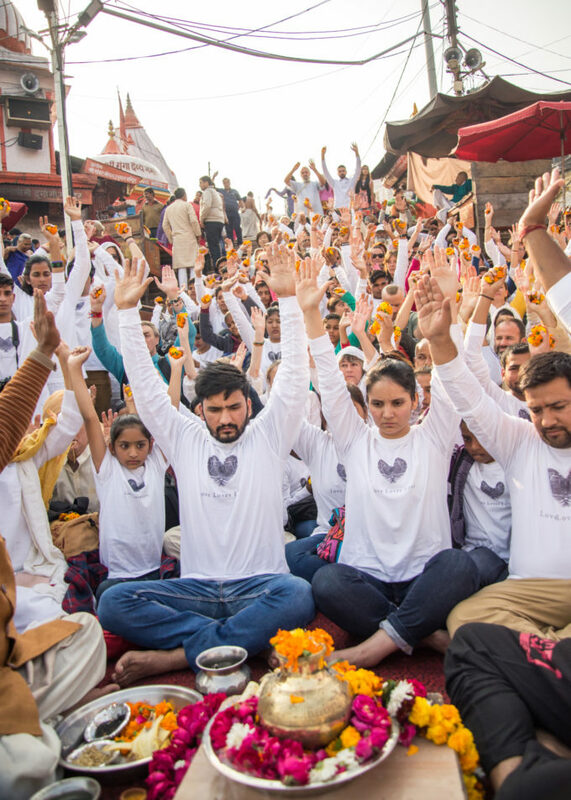 Other centers dedicated to Babaji’s teachings include the Salt Spring Yoga Center and School on Salt Spring Island near Vancouver and spiritual communities in Toronto and Los Angeles. As a teacher, Babaji lead by example. Once he was asked, “How do you accomplish everything you do?” He replied, “I have my discipline and I stick to it as closely as I can.” In the many years of construction and development at Mount Madonna Center, he would arrive promptly on Tuesdays, Thursdays and Saturdays to conduct classes, take appointments, and lead work crews. Babaji also inspired play in the form of evening volleyball games after work days, music performances, and by writing many comedic teaching dramas about the search for liberation in a world full of illusions and scoundrels. One of his signature features at Mount Madonna Center are Himalayan style, free standing rock walls that grace the property and create flat open land from steep hillsides. All were designed and built over decades by Babaji and his “rock crew”. 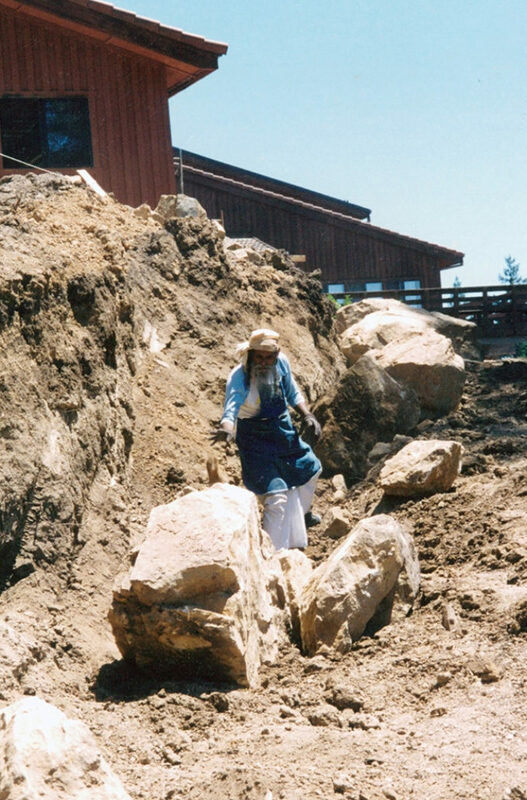 They are testimony to his steady commitment for over thirty-five years, come rain or shine as he led the “rock crew” volunteers who quarried the rocks on the property and built the walls. 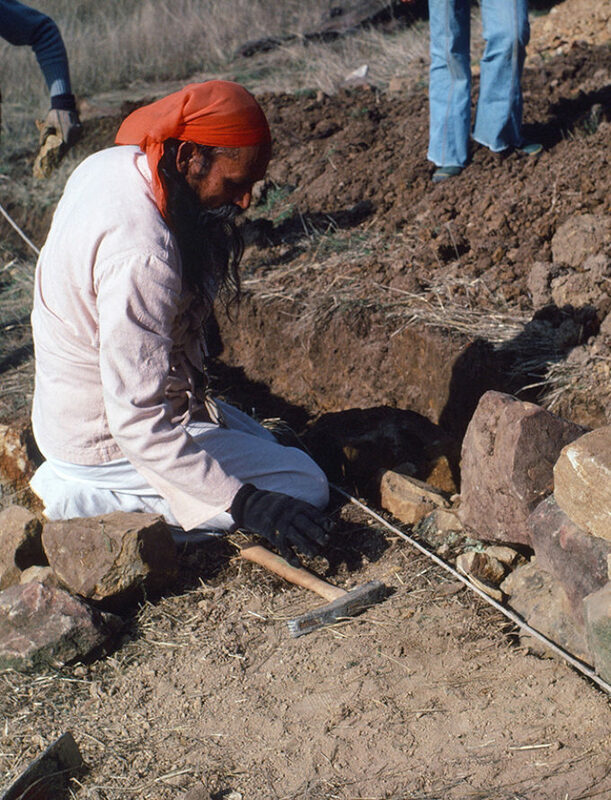 Babaji worked with whomever showed up to help. The rock walls stand as a reminder that everyone has something to give to their community. Some knew how to fit the stones, some gathered small rocks for backfill and some loaded buckets of dirt. He would remind everyone that in community life it “takes big rocks, small rocks, and dirt to build a wall.” Each of us has a contribution to make to community, and everyone’s contribution matters. It is known that Babaji left home at age eight to join a “gurukul” (school for spiritual aspirants). 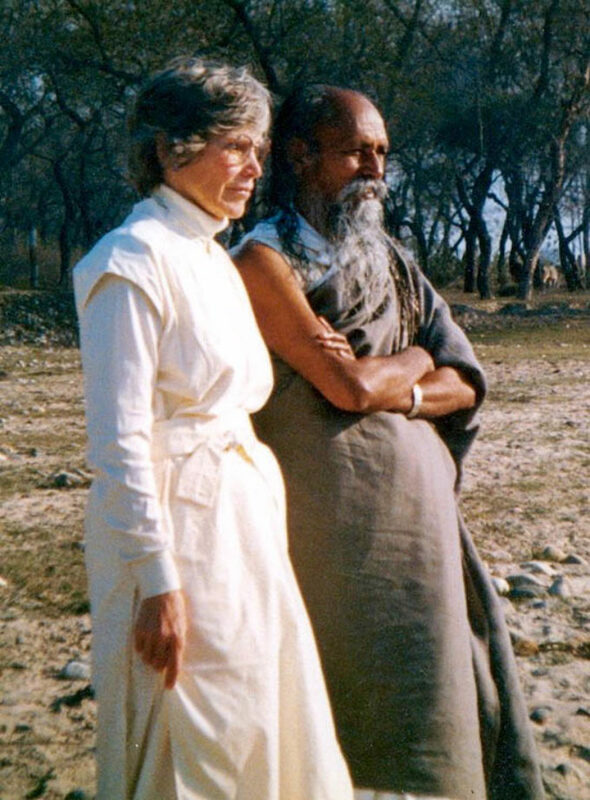 In this early part of his life he engaged in intense spiritual practice in remote areas. Part of his practice was selfless service and to that end he built many well-known temples and ashrams in the foothills of the Himalayas. He was admired and beloved by the local people of Nainital where he built Hanumangarhi, one of the most famous temples of the region. The Sankat Mochan Hanuman Temple, on the property of Mount Madonna Center, is built in this same style. Babaji arrived in the USA in 1971 at age 49 upon the invitation of two American students who had studied with him in India. He was sponsored by Ruth Horsting (also known as Ma Renu), a professor who was just completing her career in the Art Department at U.C. Davis. For a time after Babaji first arrived he resided at her home in Sea Ranch. Knowledge of Babaji preceded him to America through a book titled, “Be Here Now” written by former Harvard Professor Richard Alpert, also known a Ram Dass, who learned yoga from Babaji in India. 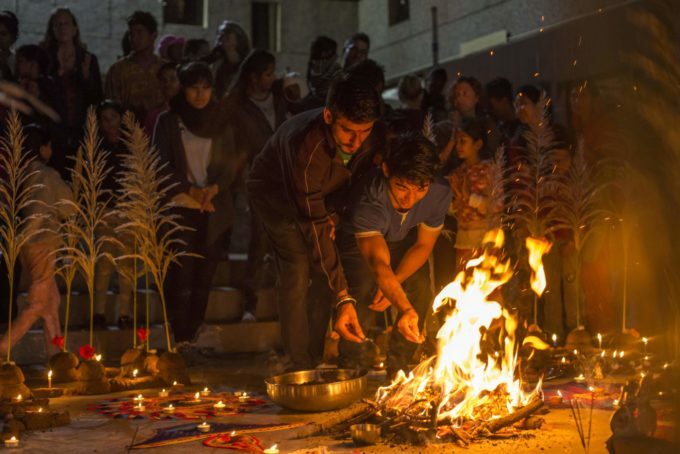 As more students came to know of Babaji, a group formed at University of California, Santa Cruz led by a young Canadian student of Babaji’s known at Anand Dass. Seeing the sincerity of the students toward the teachings of Babaji, Ma Renu decided to move to the Santa Cruz area so he could be closer to his students. In 1972 the Hanuman Fellowship, a non-profit organization was formed to hold Babaji’s teachings and the activities he inspired. 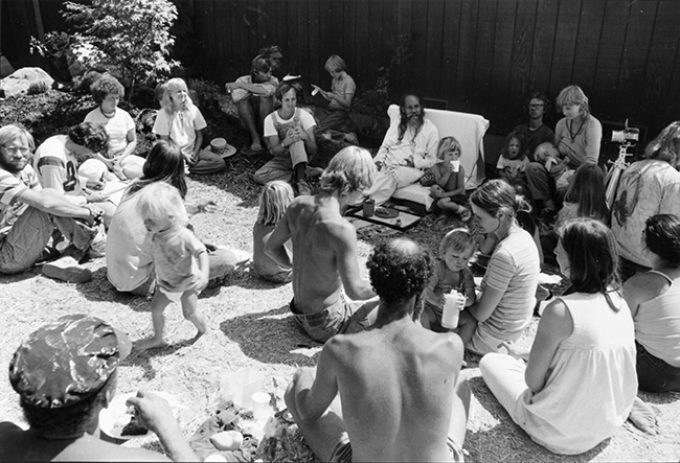 In 1974 Babaji’s students began to host regular yoga retreats at a variety of camps in the Santa Cruz area. 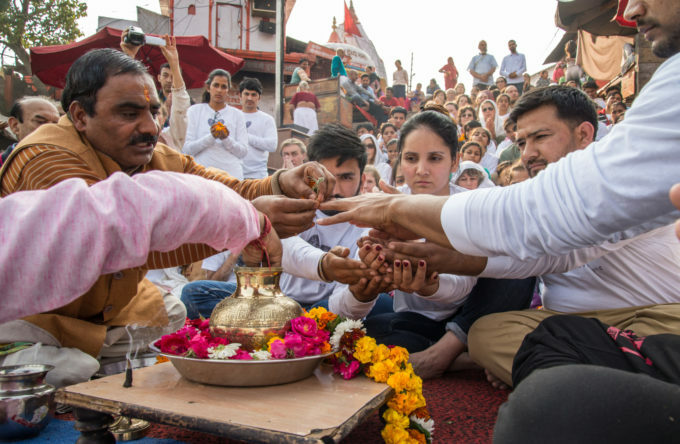 As the retreats became more popular, Babaji introduced the great Indian spiritual classic the Ramayana as a skit to celebrate the last day of the retreats. From these humble beginnings, the production grew over the next forty-three years to become the largest and longest running production of this classic in the western hemisphere. 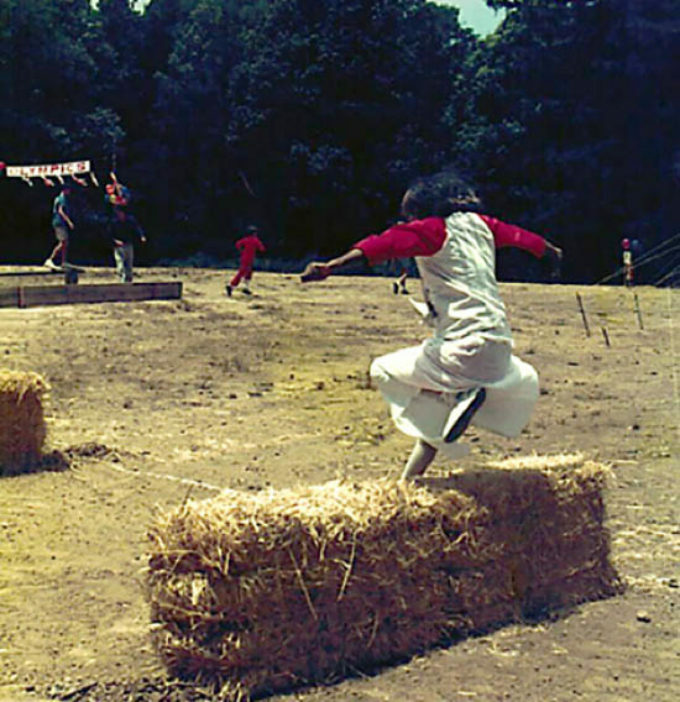 In 1975 the members of the Fellowship began to look for land to establish a yoga and spiritual teaching center, staffed by a residential community of practice. 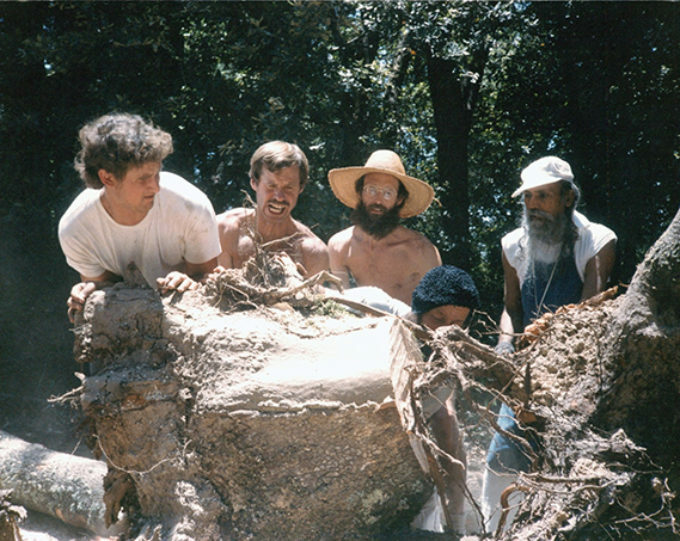 Finally, in 1978 Mount Madonna Center for the Creative Arts and Sciences was established on 350 acres of Mount Madonna overlooking the Pajaro Valley and Monterey Bay. For ten months each year Babaji taught, encouraged, worked, and played alongside the Mount Madonna community he inspired. 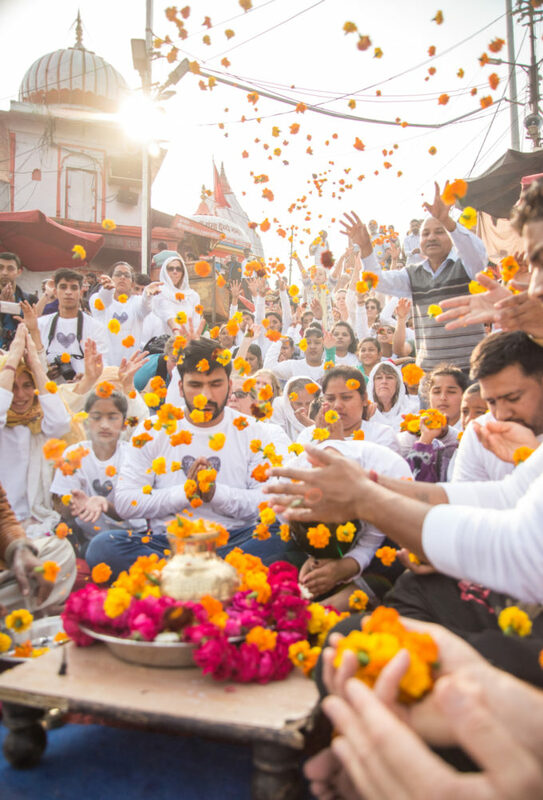 Two months of the year he would return to India to give guidance and energy to caring for abandoned and destitute children. This lifelong passion began when Babaji was quite young. 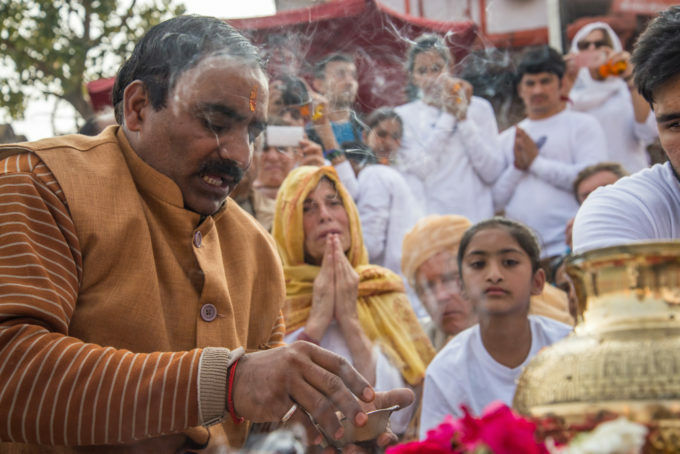 After seeing a friend who grew up in an orphanage badly abused, Babaji pledged that one day he would build a loving home for destitute children in India. 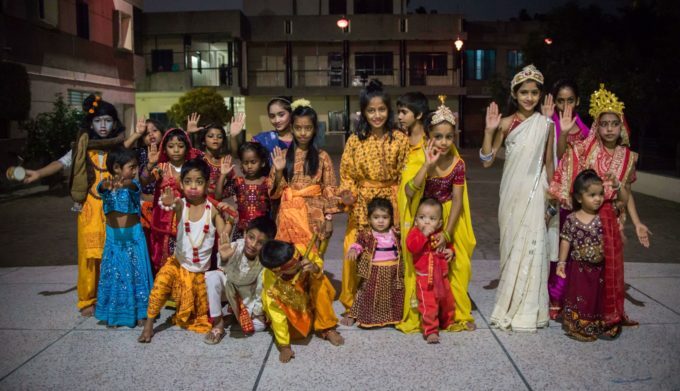 In 1974 Ma Renu started the Sri Ram Foundation for this purpose and Babaji dedicated all of the income from his writings to support a children’s home and school. In 1984 land was purchased near Shyampur Village outside of Haridwar in Northern India and the project began. Two years later, the first children came. Today Sri Ram Ashram is home to more than 60 children and hosts a private school for almost 600 children from the surrounding villages. 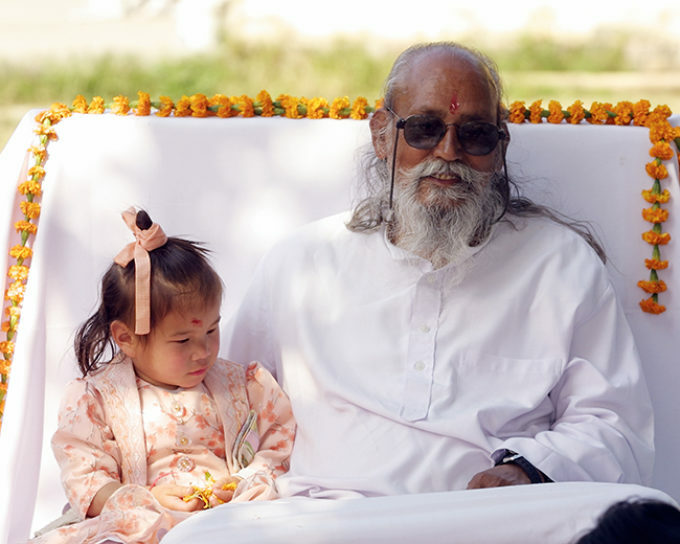 There are now many children who grew up at the orphanage who, thanks to Babaji’s love and dedication, have gone on to lead fulfilling lives with successful careers and families of their own. Babaji was deeply knowledgeable in yoga theory and practice in the classical system of Ashtanga Yoga (eight limbed). He regularly taught as well as authored a number of books on Indian philosophy, including commentaries on Patanjali’s Yoga Sutras, the Bhagavadgita, Vedanta, and Samkhya Karika. He also authored several children’s stories, plays and essays of perennial wisdom based on his own experience and practice. Babaji was one of the earliest proponents of the ancient system of Ayurveda Medicine in the USA. Today Mount Madonna Institute offers a M.A. in Ayurveda Studies as well as several credentials and certificates in Ayurveda, Yoga and Community Studies. Babaji has inspired generations of students. When once asked what his intentions were, he stated simply, “To make a few good people.” He also would say that the teacher could only point the way, or more tersely put, “I can cook for you but I can’t eat for you.” His brief comments written on a small chalk board have become aphorisms to live by. 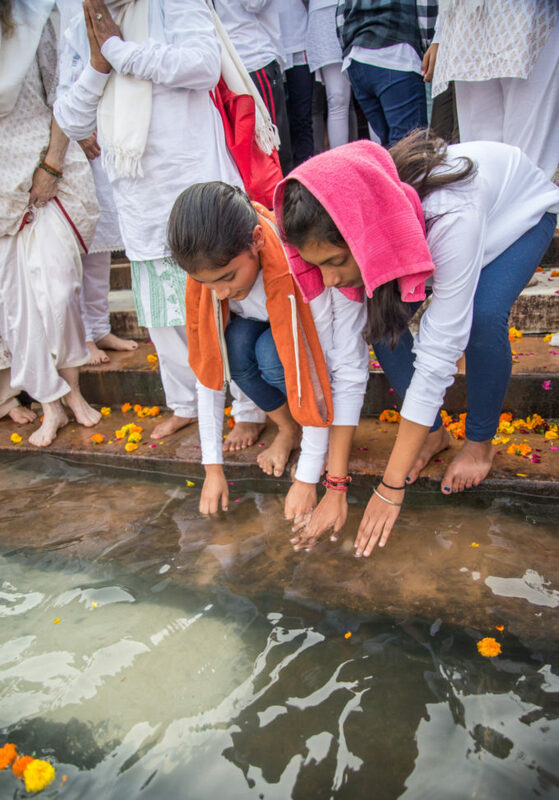 While his students and devotees deeply miss the physical presence and example of this extraordinary teacher, Babaji’s wisdom, good works, inspiration and influence will live on in the institutions he inspired and all those with whom he came in contact. He was supported at the end of his life by his loving students, family, and Hospice of Santa Cruz County. 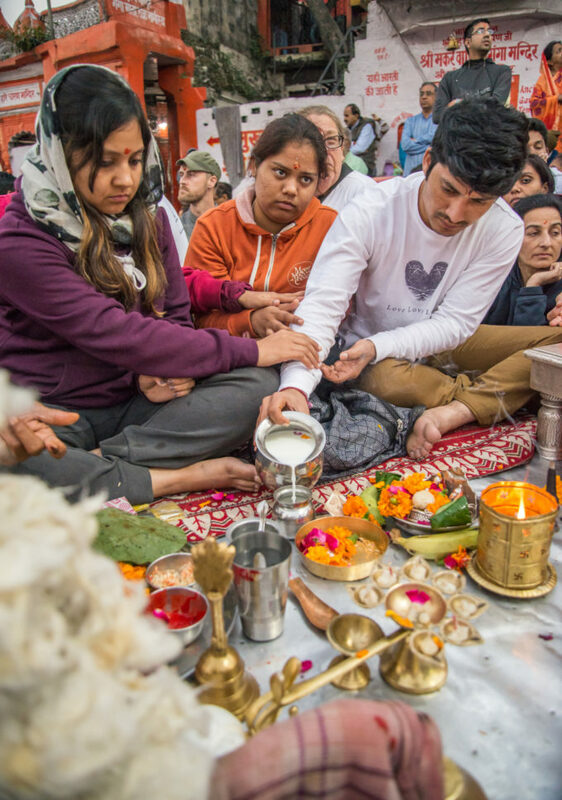 A traditional Vedic ceremony will be held on Sunday, October 7th at Mount Madonna Center to honor his life. Donations in his memory can be made to the children at Sri Ram Ashram through Sri Ram Foundation at www.sriramfoundation.org. Babaji's body will be cremated TODAY. We will gather at 2PM at Santa Cruz Memorial - 1927 Ocean Street Extension, Santa Cruz. All are welcome. Please help spread the word. Our beloved guru Babaji left his body at 10:32am today. Please help spread the word and hold him in your prayers. Chanting of the Shantih Path at this time is appropriate. We will update this site with information about rituals and the cremation within the next few hours.